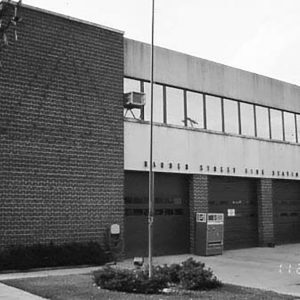 The Harden Street Substation was built in 1953 to employ the Columbia Fire Department’s first African American firemen and to serve the predominately African American Waverly community. Designed by Heyward Singley, a prominent local architect, the new substation was a state-of-the-art facility at the time, and a concrete step toward the integration of the Columbia Fire Department. The department integrated after the NAACP threatened to sue on behalf of WWII veteran Clarence Mitchell who was denied employment because state law prohibited blacks and whites from working together in public buildings.